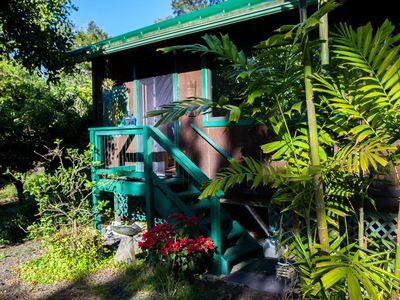 Quaint Hawaiian Cottage on 5 Acres. 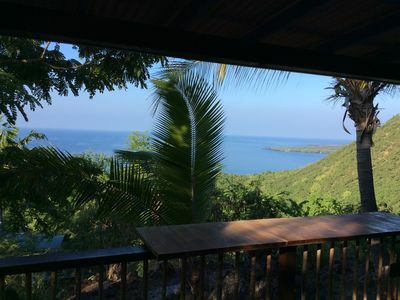 The Pali Hale (Cliff House) is located over looking Kealakekua Bay. 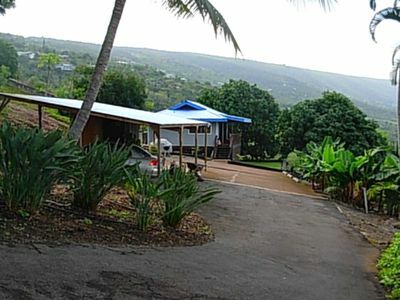 There is off street parking with a beautiful gated entry. 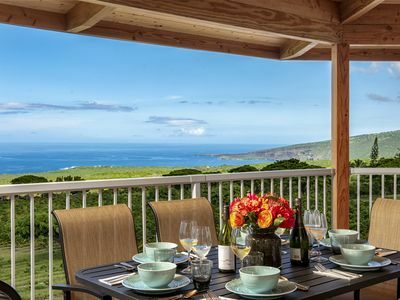 With coast line views for miles! 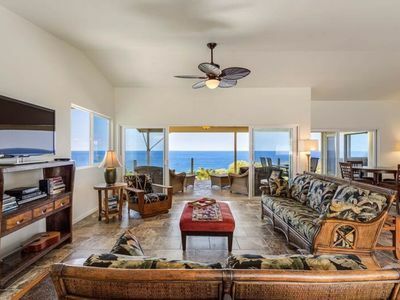 Located at the 1200 foot elevation we need only ceiling fans for comfort. 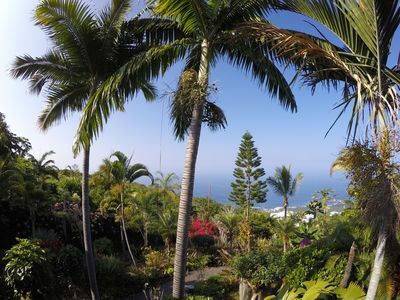 There is mango,papaya ,pineapples,citrus,bananas all for the picking. Fresh flowers abound! Spinner dolphins and exquisite snorkeling in a marine preserve at the bottom of road. 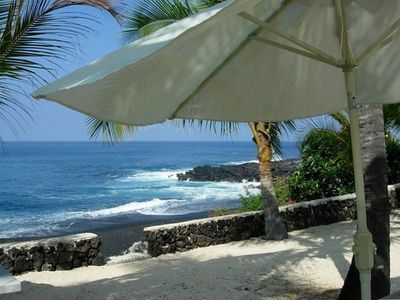 We are only 90 miles from Hawaii Volcano Park.The Historical Coffee Museum is 3 miles away. 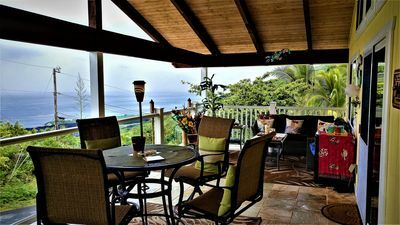 All guest are met with an Aloha basket filled with Kona coffee, Punaluu sweet bread, fresh fruits, chocolate mac-nuts,juice,milk. 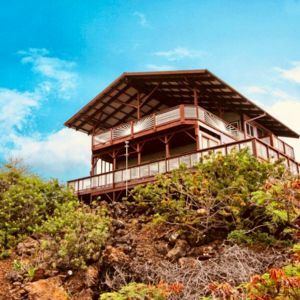 The property is secluded and safe. 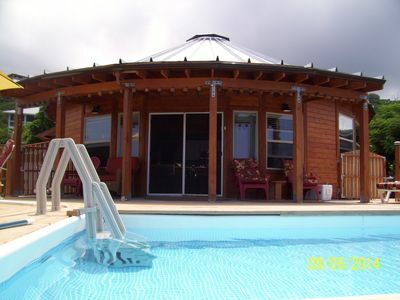 Guest's are given soap, dish liquid, Paper towels, toilet paper to start off the stay in your own vacation home. 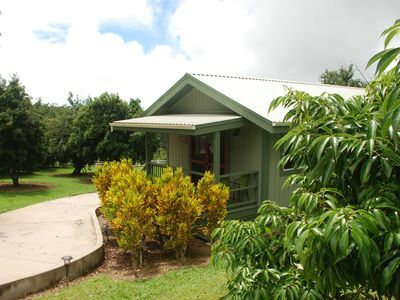 If you are looking for a peaceful and quiet, rural place this is for you. With 5 acres to yourself it is ideal. 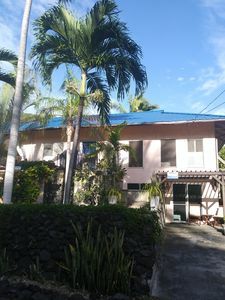 It is only 20 minutes to Kailua Town. All places to visit are within a 1 -3 hour drive. 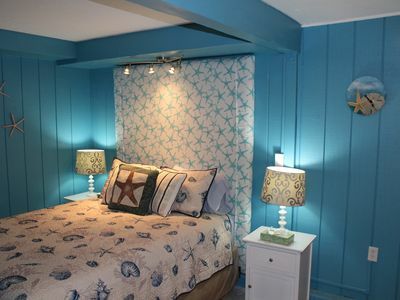 The cottage comes with beach cooler, chairs, towels, it is stocked to feel like home. 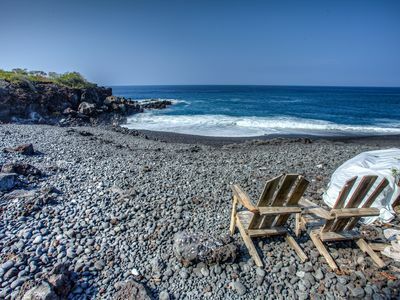 All you need to enjoy Hawaii. 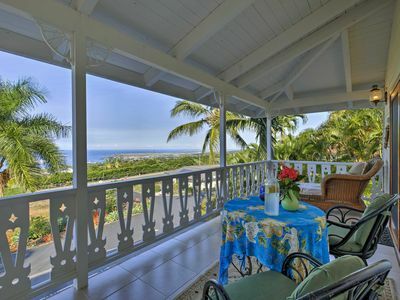 3BR Captain Cook Home w/Lanai & Ocean Views! 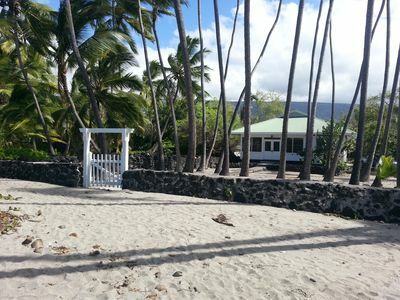 OCEAN FRONT BEACH HOUSE in Captain Cook!! Spring Special !!! 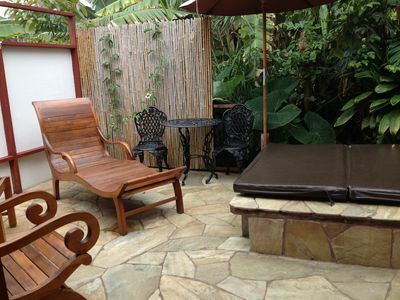 $95.00 per night FOR FIVE OR MORE NIGHT STAY !! 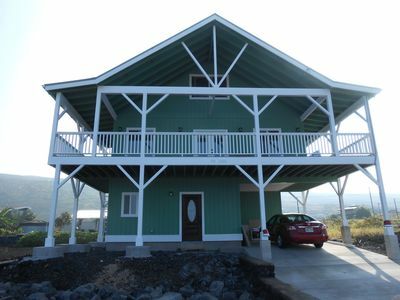 "Hale Akahi", new and improved beach Home in Milolii, HI. Special rates return! $99 RATES! 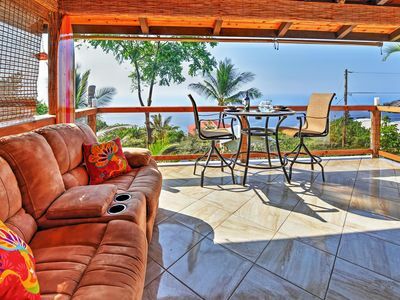 STEPS FROM KEALAKEKUA BAY! AIR CONDITIONED! SWIM WITH DOLPHINS! 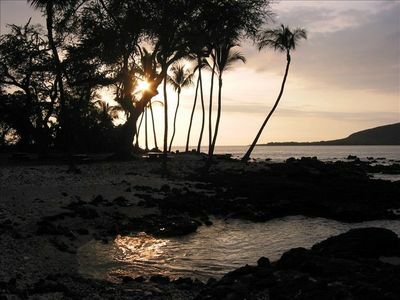 Peaceful, quiet, great sunsets, wow!